For today's study I want to dig into Paul's prayer for the Colossians. It contains our word for today and gives us a sense of the context for Paul's use of this word throughout the book. I'm going to go through this passage in the manner which I use most often to begin observation of a passage: As a reporter. Reporter's ask questions that enable them to see clearly - who, what, where, when, why, how. Walk with me through this passage. Included are photos of my study notes. 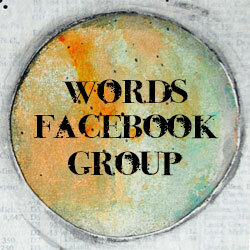 The words marked, circled or underlined with colors are words that are on our list. 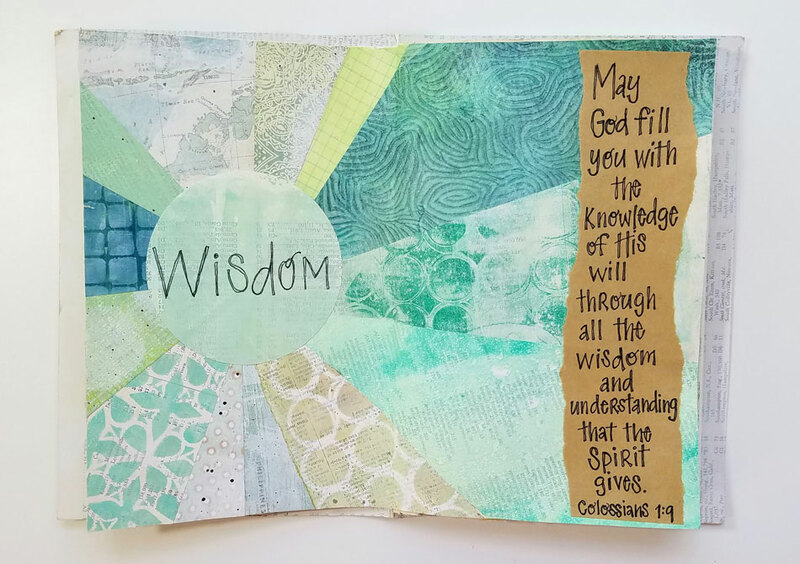 Paul begins this passage with why he continually prays for the Colossians, and the answer is found in the previous passage (1:3-8). The report Paul received from Epaphras about their faith and love has prompted Paul to keep them in his prayers. Why does Paul pray for them and what does he ask God? The main point of Paul's prayer is that they would be "filled with the knowledge of His (God's) will". Fullness will be one of our words in the days ahead, but for now we will get a brief understanding of it in order to grasp what Paul is praying here. The Greek word Paul uses here for "fill" has the sense of being filled completely full; abounding in fullness. It has the sense of completeness, fulfillment. 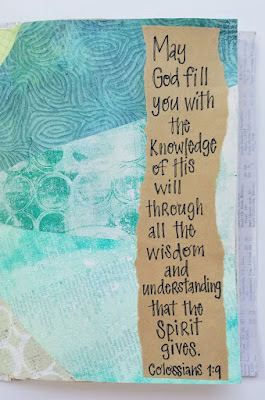 So Paul is asking God to completely and abundantly fill them with the knowledge of God's will. Remember, we saw yesterday that the knowledge Paul speaks of here is that which is gained through personal experience, through relationship. How does Paul intend for them to be filled with the knowledge of God's will? 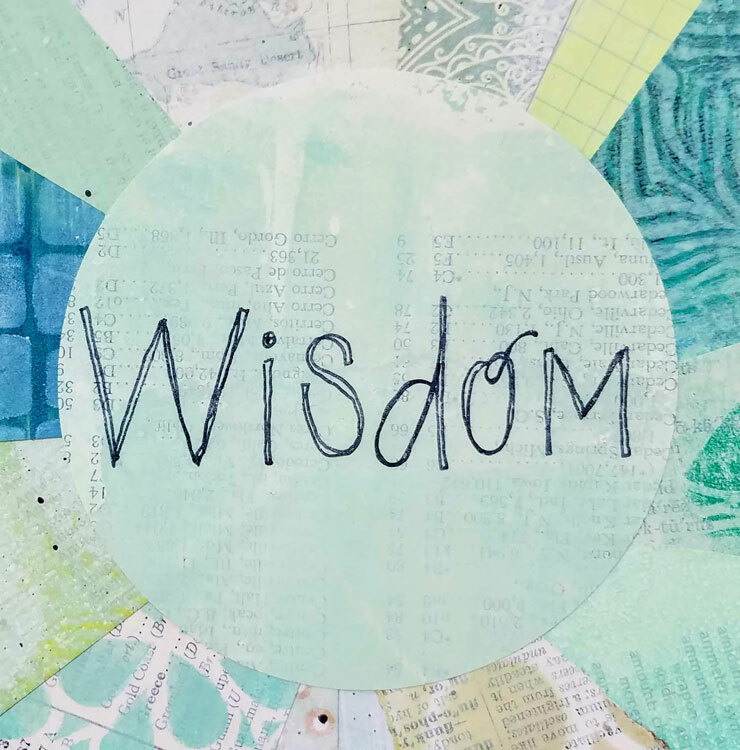 Through all wisdom and understanding. How? Through the Spirit God has given them. Why does Paul want them to be filled with the knowledge of God's will? SO THAT 1.) they will live a life worthy of the Lord, and 2.) please Him in all ways. Here is the bottom line: Knowledge for the sake of knowledge alone is vain, it's empty - it holds no meaning other than to puff us up. We are often not changed simply by knowing something. Experiential knowledge, however, leads to obedience and results in life change. Knowledge about God's will should bring about a changed way of life, and this pleases God. "At the root, the Colossian crisis is a crisis of knowing God. And so it is with every challenge to a congregation's spiritual formation." 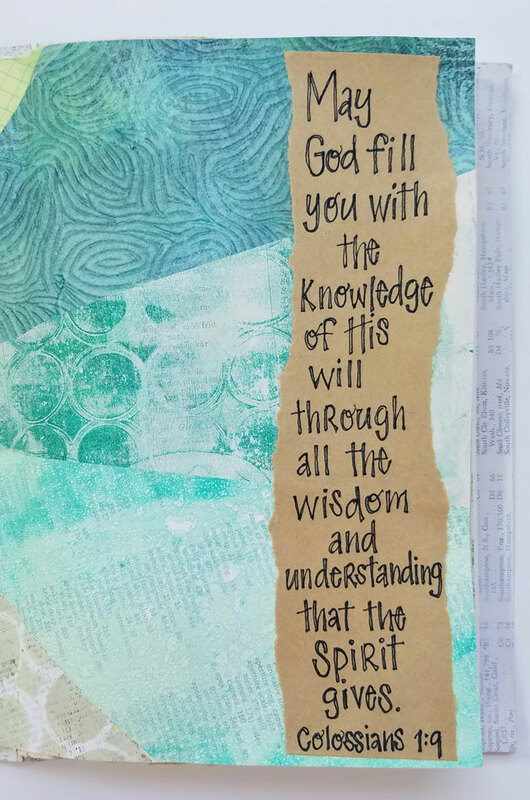 We need to cooperate with the Spirit and grow in the knowledge of God's will through the wisdom and understanding He gives us. And that knowledge of God's will should be evident in the manner in which we live. 1. Our lives will bear fruit. We will pursue "good works" - serving others, loving others, sharing the good news. 2. We will continue to grow in knowledge. Life long learning of who Christ is and how He calls us to live. 3. We will depend on God's power, not our own, and depend on Him to strengthen us. This will result in endurance, patience and joy. 4. And finally, we will live in gratitude, continually giving the Father thanks, first and foremost for our salvation through His Son. Paul goes on to say that the Father has qualified us. For what? He has made it possible for us to share in the inheritance of His holy people. How? He rescued us from the dominion of darkness and brought us into the kingdom of His Son - the kingdom of light. How? Through the redemption His Son provides - the forgiveness of our sins which results in reconciliation with God, power to live in ways that please Him, and eternal life. This is what we inherit! Mary, thank you for this excellent teaching on the word WISDOM! You are a gifted teacher and artist. Thanks for sharing your talents with us. God bless you!